You spend hours and hours deciding over what to post, finding that perfect image for the content that you have created. You share this post of yours on every social media media platform one can think of, hoping that it might increase the number of followers you have. And then, you wait. Wait for a while and then check if you have got any likes, comments or retweets. To your distress, you find that no one clicks on your links. No one “Likes” your Facebook post or retweets it. Relax! You are not the only one in this world who is facing this. Getting attention of the people or getting noticed is tougher than it seems. And though there might be a number of reasons for your post not being able to attract people, the most probable one is that the copy you have written is damn bad. 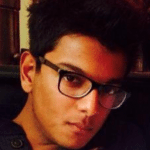 Writing copy for social media is a heavy task. Apart from providing useful information to the users, you have to make sure your tone is crispy. According to Writemysite, shorter copy tends to perform better on Twitter, with tweets between 100 and 115 characters most likely to be retweeted. And for other channels, people expect more and more for free. You have to write a copy that draws attention of the people, engages them. According to an article published in Jeff Bullas, Facebook users share 2.46 million pieces of content every minute. So, wondering how to write content that gets you more attention across all social media platforms? 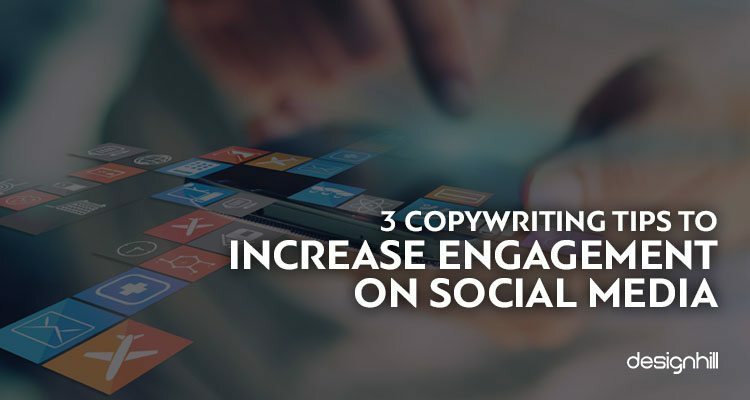 Here are 3 copywriting tips that will help boost your social media engagement. 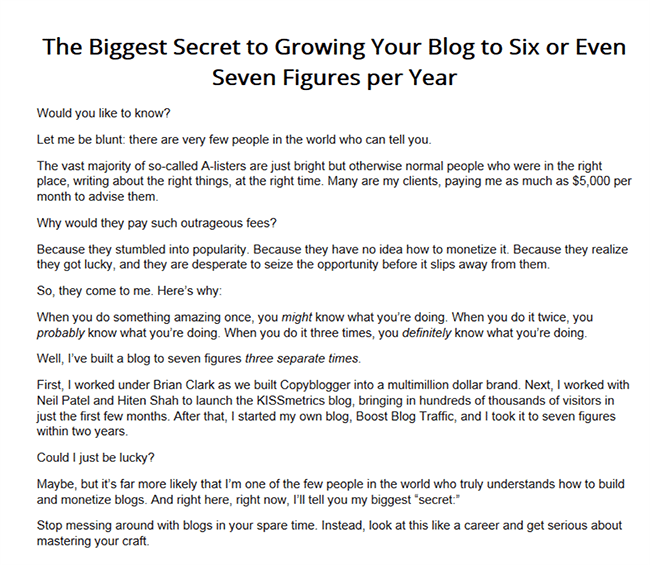 Emphasize on Benefit Users Will Get – This is one of the most basic copywriting rules. While creating and posting a copy highlighting the features of your business, make sure you focus on it’s benefit to the users. Benefits are persuasive and therefore have the power to convince the audience to click on your link. Simply listing the features would not make an impact that focusing on benefit will. While features are the technical aspects, benefits draw people emotionally by touching on their needs or wants. So, when you start writing a copy, start with the benefits and then you can go on listing the features of your products or services. 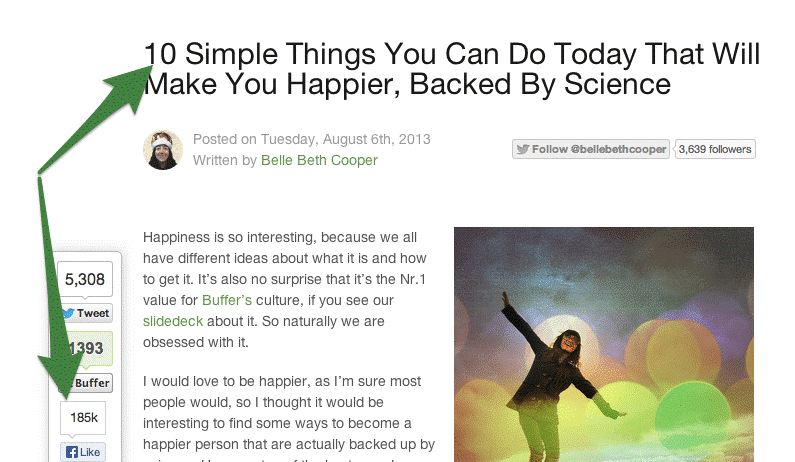 Have a look at this example wherein Buffer starts out by talking about how their app is the smarter way to share. 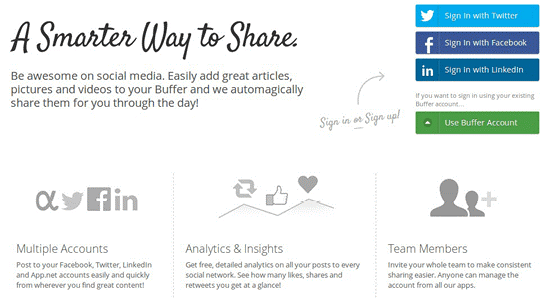 And later, they go on to tell how Buffer can help you to be awesome on social media. 2. Include Powerful Action Verbs For More Impact – Make the massage in your copy clear and concise so that the audience s able to understand the benefit quickly and click on the links. It should be direct. The best way of doing this is by using active verbs as it makes the copy much more stronger, connecting to the audience. Avoid using passive verbs. Active verbs conveys your message much more faster and better. For instance, For instance, “More than 2,000 people have been helped by our services” will be easily understood when changed to “We have helped over 2,000 people.” Always keep a thesaurus handy with you so that you are able to include strong verbs into your copy easily. These copywriting tips on how to increase engagement on social media will surely help you in getting more followers. We are sure that iw would no longer be painful to create a powerful social media copy.